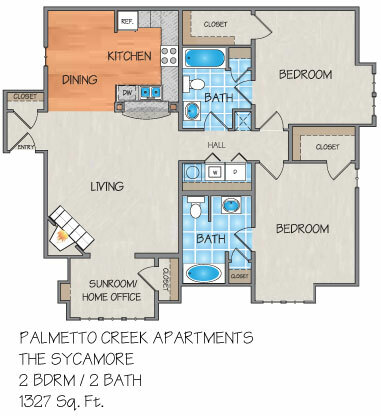 Please send me more information about Palmetto Creek Apartments. A River Ridge, LA apartment community, Palmetto Creek is committed to high standards of excellence and superb management service skills. We believe our attention to detail and a genuine concern for your needs makes us the best gated apartment community in the New Orleans area. 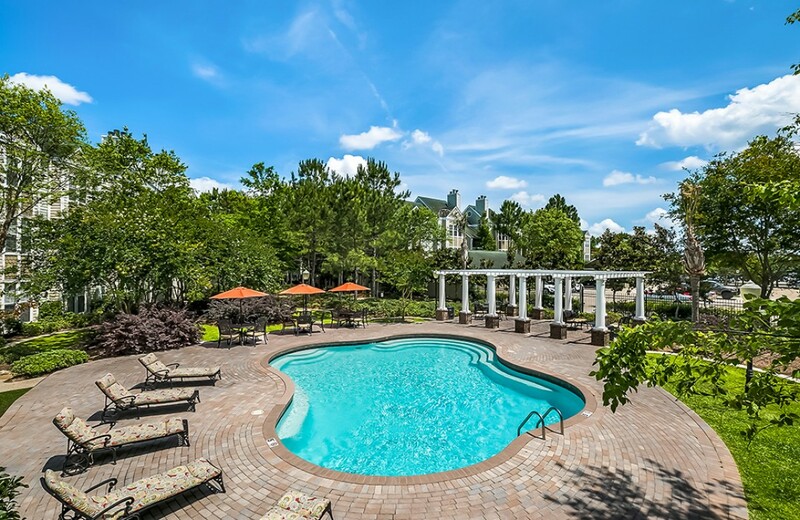 Let yourself live the dream of a luxurious lifestyle at Palmetto Creek's one and two bedroom apartments in Elmwood area. With a vacation feel 24/7, this resort style community will offer an extraordinary amenity package beyond anything you've imagined. Features such as fully equipped kitchens/dining rooms with faux-wood flooring, full size washer and dryers, large bathrooms with ceramic tile and separate vanities, extra large walk in closets, detached garages, smoke-free building and much more make Palmetto Creek envied by all. The excellent River Ridge location is convenient to recreation, dining, shopping, Earhart Expressway, Huey P. Long Bridge, Avondale, Elmwood Business Park and minutes from downtown New Orleans. Our location is also ideal for individuals attending local area universities such as Tulane, Loyola and Xavier. If you are looking for an apartment for rent in River Ridge, then treat yourself to Palmetto Creek. I loved living at Palmetto Creek. Beautiful property, great location and super friendly office and efficient maintenance crew! I would highly recommend. The gates actually stay closed here. Some complexes advertise gates and leave them wide open. I liked the layout of the apartment but I feel like my money could be better spent next door. You are able to use most of the facilities at Citrus Creek so why not rent there? It’s about the same price. I liked that the kitchen area had room for bar stools. I've lived in this apartment community for 3 years and havent had any issues or complaints. The office staff is amazing! Tanya and Ilene are so helpful and always willing to go the extra step to make you feel comfortable. Anything that came up maintenance wise was always taken care of and usually very fast. Very safe and quiet. I just resigned my lease for the 4th year! (Translated by Google) Beautiful apartments for rent, very good attention of its staff and good maintenance of its facilities. (Original) Bellos apartamentos en alquiler, muy buena atención de su personal y buen mantenimiento de sus instalaciones. Nice apartments and good management team. I love to stay here for a long as it's very safe place to live in new orleans . Palmetto Creek This is the best apartment I have every lived in. The outdoor space has beautiful landscape, a pool area with lounge chairs, barbecue pits for entertainment. There are restaurants in walking distance. The staff is helpful 24/7. At my age and retired, I feel safe at all times. Would love to live here for the rest of my life. Palmetto Creek Gated apartment homes. The 3rd floor is well worth the walk-up.The 2 bedroom/2 bath is spacious w/ 12 foot ceilings a sun room. Pool is small but refreshing on a steamy hot summer day. Largest drawback - apartments are next to a freeway w/ no sound barrier. A good night's sleep can be trying. Suitable for adults w/out children since there are no play areas for them. Pets are welcome. I have lived at Palmetto Creek for 7 years and have thoroughly enjoyed the experience. The office staff is friendly and courteous. Any maintenance issues are handled quickly and professionally. The grounds and pool area are kept clean. This is a gated complex, so security is not an issue. The owners take pride in maintaining this complex as a first-rate property. They recently completed a comprehensive re-landscaping project. I would recommend this apartment community to friends. Great place to live during school. I moved here for my medical residency , and it's nice and quiet for studying. Also great for small families. I feel my family is safe if I have to be away. Maintenance is always fast and helpful, which is a huge plus! It's definitely the most well maintained apartment complex in the area! I have lived at complex on and off since it's inception and have nothing but great things to say about the facility and staff. The 3 ladies in office do an amazing job and they are why I have come back after moving back to Nola. The maintenance is exceptional. The premier place to rent in Jefferson Parish. I lived here before moving out of town and have since moved back. The facility is very well run and the ladies Tanya, Aline, and Jessica are always a joy and very efficient. Don't look anywhere else to live. This is premier apt in Nola. Great for family life! We searched and searched for apartments when we relocated to New Orleans. We toured several properties before we found Palmetto Creek. Palmetto Creek was and is by far the cleanest, most attractive complex in the area. Being a gated complex makes our family feel safe and secure. Another perk is the location. Palmetto Creek is walking distance to a great shopping area and only minutes from downtown New Orleans! We've been here over two years and wouldn't live anywhere else! I recently just moved to the New Orleans area and immediately fell in love with Palmetto Creek. The apartments are very spacious, large closet space, nice pool and the grounds are always clean. I can not say enough great things about the complex and highly recommend it to everyone!